Fruit of the peach tree, tree of the Rosaceae family. The fruit is a typical drupe: fleshy pulp with a hard bone in the center. 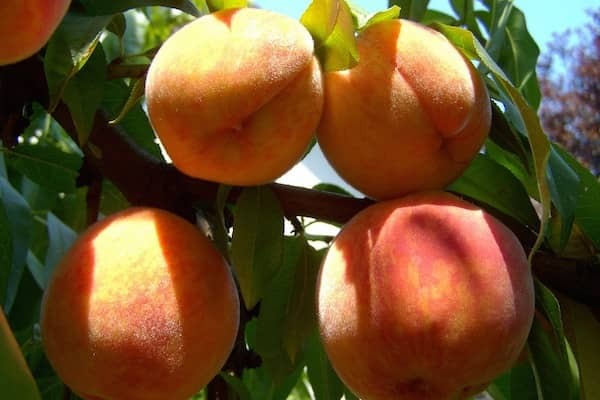 Despite its name, the peach does not come from Persia, but from Northern China, where it was already known in the third millennium BC and considered a symbol of fertility. He arrived in Europe and from there spread to America. It was introduced in Rome in the days of Augustus, where it was distributed throughout the West. It was considered a fruit of exceptional character in its beginnings, although its popularity fell during the Average Age, to be recovered soon after. The peaches contain a mixture of both types of fiber (with predominance of insoluble), which improves intestinal transit, avoiding constipation and protects against colon cancer and cardiovascular disease. They provide small amounts of vitamins, including vitamin C (with a peach covering more than 15% of the recommended daily intakes of the vitamin) and minerals, and moderate proportions of carotenoids with provitamin A activity such as alpha-carotene, Beta-carotene and cryptoxanthin, as well as other carotenoids without this activity such as lutein and zeaxanthin. In their composition they also present coumarins, compounds with protective vascular action due to their ability to decrease the permeability of the capillaries and increase their resistance, which benefits the venous microcirculation improving the tonicity of the walls. In addition, these substances have also been attributed supposed anticancer effects. Some studies have indicated that the extract obtained from peach leaves contains mandelic acid which has potent spermicidal and antimicrobial activity. Canned peaches of syrup have a lower content of most vitamins and yet a higher concentration of minerals (except potassium), than fresh peaches.